A widely acknowledged function of cellular membrane is to promote biological reactions by creating a two-dimensional space that facilitates interactions among resident molecules. Less well appreciated is that cell membranes are subdivided into specific domains that compartmentalize a variety of essential activities. Three examples of membrane domains are clathrin-coated pits, focal adhesion sites, and caveolae. Each requires specific cellular machinery for their existence and is constructed from specific membrane proteins and lipids. 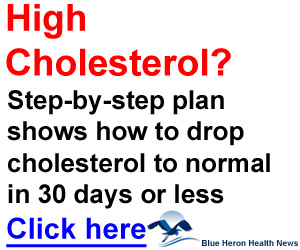 In the case of caveolae, cholesterol is an essential lipid. Several studies have demonstrated that it functions as a structural molecule for this domain. In this chapter we describe several methods for modifying the cholesterol composition of caveolae and discuss how these changes alter the structure and function of this membrane domain. 2 K. G. Rothberg, J. E. Heuser, W. C. Donzell, Y. Ying, J. R. Glenney, and R. G. W. Anderson, Cell 68,673 (1992). 3 E. J. Smart, D. C. Foster, Y. S. Ying, B. A. Kamen, and R. G. Anderson, J. Cell Biol. 124,307 (1994). 4 J. R. Henley, E. W. Krueger, B. J. Oswald, and M. A. McNiven, J. Cell Biol. 141, 85 (1998). 5 P. Oh, D. P. Mcintosh, and J. E. Schnitzer, J. Cell Biol. 141, 101 (1998). 6 R. G. W. Anderson, Annu. Rev. Biochem. 67, 199 (1998). 7 E. J. Smart, G. A. Graf, M. A. McNiven, W. C. Sessa, J. A. Engelman, P. E. Scherer, T. Okamoto, and M. P. Lisanti, Mol. Cell. Biol. 19, 7289 (1999). as cholesterol/sphingolipid-rich membrane domains that contain caveolin-1 and are capable of internalizing molecules. The morphological and functional behavior of caveolae depends on specific lipids and proteins. A key molecule is cholesterol. Indeed, most of the current methods for modulating caveolar function depend on perturbing the cholesterol composition of this domain. Examples of how cholesterol affects caveolar structure and function are outlined below. Specific methods for modulating cholesterol in caveolae are described in the following sections. 8 W. J. Chang, K. G. Rothberg, B. A. Kamen, and R. G. Anderson, J. Cell Biol. 118, 63 (1992). 9 K. G. Rothberg, Y. Ying, B. A. Kamen, and R. G. W. Anderson, J. Cell Biol. Ill, 2931 (1990). 10 E. J. Smart, Y. S. Ying, P. A. Conrad, and R. G. Anderson, J. Cell Biol. 127, 1185 (1994). 11 K. G. Rothberg, Y. Ying, J. F. Kolhouse, B. A. Kamen, and R. G. W. Anderson, J. Cell Biol. 110, 637(1990). 12 R. G. Anderson, B. A. Kamen, K. G. Rothberg, and S. W. Lacey, Science 255,410 (1992). 13 W.-J. Chang, K. G. Rothberg, B. A. Kamen, and R. G. W. Anderson, J. Cell Biol. 118, 63 (1992). 14 P. W. Shaul and R. G. Anderson, Am. J. Physiol. 275, L843 (1998). 15 P. W. Shaul, E. J. Smart, L. J. Robinson, Z. German, I. S. Yuhanna, Y. Ying, R. G. Anderson, and T. Michel, J. Biol. Chem. 271, 6518 (1996). 16 A. Uittenbogaard, P. W. Shaul, I. S. Yuhanna, A. Blair, and E. J. Smart, J. Biol. Chem. 275, 11278 (2000). 17 A. Blair, P. W. Shaul, I. S. Yuhanna, P. A. Conrad, and E. J. Smart, J. Biol. Chem. 274,32512 (1999). 18 T. Furuchi and R. G. Anderson, J. Biol. Chem. 273, 21099 (1998). 19 A. Uittenbogaard, Y. Ying, and E. J. Smart, J. Biol. Chem. 273, 6525 (1998). 20 A. Uittenbogaard and E. J. Smart, J. Biol. Chem. 275, 25595 (2000). as an apolipoprotein in certain cells and to be secreted in lipid particles that have the characteristics of high-density lipoprotein (HDL).21 Caveolin-1 may also function as a scaffolding protein for multiple signaling molecules. It contains a short amino acid sequence that has been termed the scaffolding domain.22 Numerous in vitro binding studies have shown that this region of the molecule interacts with proteins that have a characteristic amino acid sequence called the caveolin-1-binding domain.22-25 Thus, the ability of caveolin-1 to form a coat structure may position the scaffolding domain so that it directly binds to signaling molecules containing the caveolin-1-binding motif and maintain the protein in an inactive state.7,14 Many methods that alter caveolar cholesterol levels cause caveolin-1 to move to other cellular locations. Regardless of its function, however, depletion of caveolin-1 from caveolae will perturb signal transduction from this domain. 1. Prepare a fresh 10-mg/ml stock solution of filipin in dimethyl sulfoxide (DMSO) (filipin complex is from Sigma, St. Louis, MO). 2. Wash the cells once with phosphate-buffered saline (PBS). 3. Add fresh culture medium without serum to the cells. 21 P. Liu, W. P. Li, T. Machleidt, and R. G. Anderson, Nat. Cell Biol. 1, 369 (1999). 22 S. Li, J. Couet, and M. P. Lisanti, J. Biol. Chem. 271,29182 (1996). 23 J. Couet, S. Li, T. Okamoto, T. Ikezu, and M. P. Lisanti, J. Biol. Chem. 272, 6525 (1997). 24 J. A. Engelman, C. Chu, A. Lin, H. Jo, T. Ikezu, T. Okamoto, D. S. Kohtz, and M. P. Lisanti, FEBS Lett. 428, 205 (1998). 25 G. Garcia-Cardena, P. Martasek, B. S. Masters, P. M. Skidd, J. Couet, S. Li, M. P. Lisanti, and W. C. Sessa, J. Biol. Chem. 272, 25437 (1997). 26 J. Bolard, Biochim. Biophys. Acta 864, 257 (1986). 27 J. Milhaud, Biochim. Biophys. Acta 1105, 307 (1992). 28 B. de Kruijff and R. A. Demel, Biochim. Biophys. Acta 26, 57 (1974). 4. Add filipin to achieve a final concentration of 5-10 /xg/ml [DMSO <0.05% (v/v)]. 5. Incubate the cells at 37° for 15-60 min. Potential Problems. The ability of filipin to permeabilize membranes makes it necessary to determine the concentration that will affect caveolar function without damaging the cell. At low concentrations, filipin will disrupt caveolar function with minimum side effects. Too high a concentration, however, will dramatically affect cell morphology, cell permeability, and cell viability. Trypan Blue exclusion, lactate dehydrogenase release, and transferrin uptake are standard tests of cell viability that should be used to establish how each cell type responds to the drug. As with any reagent, filipin can have side effects and should not be considered a specific inhibitor of caveolar function. Nevertheless, when combined with other tests, filipin can be useful for identifying events in the cell that depend on caveolae. Cholesterol oxidase is a bacterial enzyme that converts cholesterol to cholest-4-en-3-one.29 The activity of the enzyme on membrane cholesterol is greatly influenced by the local lipid environment within the membrane. The lateral surface pressure of the membrane, the phospholipid composition, and the amount of cholesterol are all critical factors that influence the function of cholesterol oxidase.29,30 One of the first uses of cholesterol oxidase was for detecting the distribution of cellular cholesterol in glutaraldehyde-fixed cells.30 Nevertheless, cholesterol oxidase will work on live cells, where it preferentially oxidizes caveolar cholesterol and causes caveolin-1 to accumulate in the Golgi apparatus.10 This property of cholesterol oxidase has found use in studying signal transduction from caveolae as well as the transport of cholesterol to caveolae. 1. Cholesterol oxidase is from Boehringer Mannheim (Indianapolis, IN) (Rhodococcus erythropolis, 25 units/mg). 2. Wash cells once with PBS. 3. Add fresh cell culture medium without serum to the cells. 4. Add cholesterol oxidase to achieve a final concentration of 0.5 units/ml. 5. Incubate the cells at 37° for 60 min. 29 J. MacLachlan, A. T. L. Wotherspoon, R. O. Ansell, and C. J. W. Brooks, J. Steroid Biochem. Mol. Potential Problems. The main difficulty with this method is that not all cells respond to cholesterol oxidase.29,30 Therefore, the activity of the enzyme needs to be tested on each cell type by assaying for the conversion of caveolar cholesterol to cholest-4-en-3-one. Cells that do respond need to be grown and handled according to a standard format. For example, the cell density can affect the ability of cholesterol oxidase to access the sterol. The presence of other cholesterol sources such as serum lipoproteins also dramatically affects the activity of the enzyme. Serum-free conditions should always be used. The temperature of the reaction is another variable that needs to be controlled. The enzyme is less active at reduced temperatures. Thus, cholesterol oxidase is an effective tool for studying the function of caveolae and caveolin-1 when the conditions are optimized and the activity of the enzyme is determined for each experiment. Cyclodextrins are gaining wide acceptance as a tool for modifying the structure and function of caveolae. /^-Cyclodextrins are cyclic heptasaccharides consisting of /}(l-4)-glucopyranose units.31 Numerous cyclodextrins exist but the one most effective at removing membrane cholesterol is methyl-/3-cyclodextrin.32 This cyclodextrin is water soluble and contains a hydrophobic core that has a specific affinity for cholesterol. Cholesterol bound to methyl-/3-cyclodextrin is soluble but can exchange with plasma membrane cholesterol. 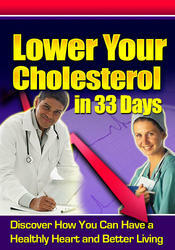 Moreover, the addition of methyl-yS-cyclodextrin to cells effectively removes cholesterol from living cells. The efficiency of extraction varies with cell type.33 Cyclodextrins remove cholesterol from all parts of the membrane, not just caveolae. Work by Haynes et al. suggests that for each cell type conditions can be found wherein methyl-/}-cyclodextrin will selectively extract cholesterol from different membrane pools of the sterol.34 Selective removal of cholesterol from caveolae may be favored at low concentrations of methyl-/)-cyclodextrin because of the high cholesterol content of this membrane domain. 1. Prepare a fresh 500 mM stock solution of methyl-/?-cyclodextrin in water. 4. Add methyl-/3-cyclodextrin to a final concentration of 5 mM. 31 J. Pitha, T. Irie, P. B. Sklar, and J. S. Nye, Life Sci. 43,493 (1988). 32 T. Irie, K. Fukunaga, and J. Pitha, J. Pharm. Sci. 81, 521 (1992). 33 E. P. Kilsdonk, P. G. Yancey, G. W. Stoudt, F. W. Bangerter, W. J. Johnson, M. C. Phillips, and G. H. Rothblat, J. Biol. Chem. 270, 17250 (1995). 34 M. P. Haynes, M. C. Phillips, and G. H. Rothblat, Biochemistry 39,4508 (2000). Potential Problems. There are several factors that influence the ability of methyl-/}-cyclodextrin to remove cholesterol. Because methyl-/i-cyclodextrin can promote both efflux and influx of cholesterol, the culture medium cannot contain a source of cholesterol such as serum. Long-term incubation of cells in the presence of methyl-/}-cyclodextrin (>6 hr) will reduce cellular cholesterol and upregulate genes that control endogenous cholesterol levels. It can also affect cell viability. Each experimental paradigm needs to be tested to ensure that methyl-/?-cyclodextrin is removing caveolar cholesterol without causing massive changes in the total plasma membrane cholesterol. Therefore, tests should be performed to determine the amount of cholesterol in the caveolar fraction compared with the total plasma membrane after methyl-/}-cyclodextrin treatment. Finally, if methyl-/3-cyclodextrin is observed to have an affect, the addition of cholesterol to the medium should block this affect. 4. Add oxidized LDL to a final concentration of 10-50 /ig/ml. Potential Problems. Cells should not be exposed to oxidized LDL for more than a few hours. Lipoproteins potentially can affect the level of caveolin-1 in cells. 35 W. R. Fisher and V. N. Schumaker, Methods Enzymol. 128, 247 (1986). 36 J. L. Kelley and A. W. Kruski, Methods Enzymol. 128, 170 (1986). 37 J. A. Buege and S. D. Aust, Methods Enzymol. 52, 302 (1978). In addition, LDL bound to CD36 may activate peroxisome proliferator-activated receptor y (PPARy)-regulated genes. As with all the experimental protocols, the state of cholesterol in the caveolar fraction needs to be determined. Because it is necessary to determine the amount of cholesterol associated with caveolae and plasma membranes, we have included two common methods for quantifying cholesterol: radioisotope labeling and direct mass measurement. Both these methods are reliable and widely used. The radioisotope labeling method is useful for pulse-chase experiments and distinguishing newly synthesized cholesterol from existing cholesterol pools. The direct mass measurement method circumvents potential problems with exchange and isotope dilution but is less sensitive than isotope labeling. See Smart et al.3S for details. 1. Wash cells once with an acetate-free buffer such as PBS. 2. Add medium and lipoprotein-deficient serum to the cells. 3. Add unlabeled acetate to a final concentration of 10 ¡iM and add 500 /zCi of [3H]acetate (New England Nuclear, Boston, MA) to one 150-mm plate of cells. 5. Process the cells as required (fractionation, lysate, etc.). 6. Adjust the volume of each sample to 1 ml with water and transfer the sample to a 13 x 100 mm glass tube. 7. Add 1.2 ml of 2% (v/v) acetic acid in methanol and mix thoroughly. 8. Add 1.2 ml of chloroform and mix thoroughly. 9. Centrifuge at lOOOg for 15 min at room temperature. 10. Take the bottom layer (chloroform) and transfer it to a microcentrifuge tube. 11. Add 5 /ii of cholesterol (10 mg/ml in chloroform) to each sample to aid in the identification of the appropriate spots on the thin-layer chromatography plates. 12. Dry the samples under nitrogen. 13. Suspend samples in the thin-layer chromatography solvent system [petroleum ether-ethyl ether-acetic acid, 80:20:1 (v/v/v)]. 14. Spot the samples and standards onto a silica gel plate [Si250-PA (19C); VWR, Scientific, San Francisco, CA]. 15. Place the plate in the solvent chamber and allow the solvent to migrate to within 1 in. of the top of the plate. 38 E. J. Smart, Y.-S. Ying, W. C. Donzell, and R. G. Anderson, J. Biol. Chem. 271, 29427 (1996). 16. Remove the plate and air dry. 17. Lightly spray the plate with a fresh solution of 5% (v/v) sulfuric acid made in ethanol. 18. Let the plate completely air dry and then bake for 10 min at 170°. 19. Scrape the appropriate spots into scintillation fluid and count. Method: Direct Mass Determination See Uittenbogaard et al.16 for details. 1. Process the cells as required (fractionation, lysate, etc.). 2. Adjust the volume of each sample to 1 ml with water and transfer the sample to a 13 x 100 mm glass tube. 3. Add 3 ml of chloroform-acetic acid (1:2, v/v) and mix. 4. Add 1 ml of chloroform and mix. 6. Centrifuge at lOOOg of 10 min at room temperature. 7. Take the bottom layer (chloroform) and transfer to a 10 x 75 mm glass tube. 8. Completely dry the samples and standards [1, 2, 3, 5, 10, and 20 fig of standard solution from a Wako (Tokyo, Japan) cholesterol determination kit] with nitrogen. 9. Add 1 ml of 1% (v/v) Triton X-100 made in chloroform to each sample. 10. Dry with nitrogen. The sample will coat the tube. 11. Add 0.5 ml of water to dissolve the Triton X-100 and sample. 12. Add 0.5 ml of 2x enzyme mix to samples and standards. The enzyme mix is from a commercial cholesterol determination kit (Wako). The enzyme mix must be diluted fresh each time. 13. Incubate the samples and standards at 37° for 15 min. 14. Measure the absorbance at 505 nm. Most of the available methods for modifying caveolae structure and function depend on altering the cholesterol content of caveolae. The most important aspect of each method is to ensure the reagents are working in the cells that are being studied. The idiosyncrasies of each method are such that they cannot be universally applied without carefully optimizing the conditions. When used correctly, these methods are accepted as a specific way to perturb the structure and function of caveolae.